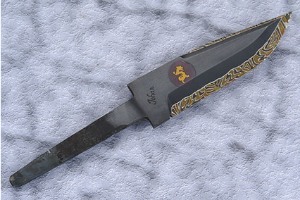 My name is Johan Gustafsson and I was born in Sweden in 1964. 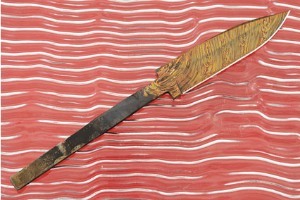 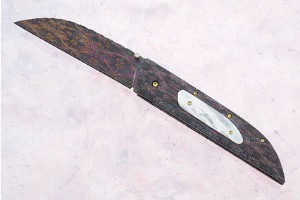 In 1993, I bought myself a knife blade to make a knife to carry on a moose hunt. 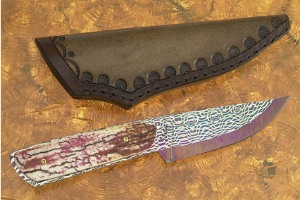 I enjoyed making that first knife so much that I have been making knives ever since. 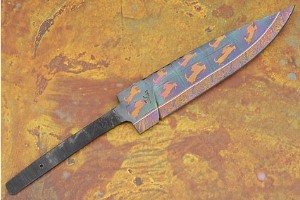 In 1994, I started forging my own blades and became a fulltime knifemaker & bladesmith. 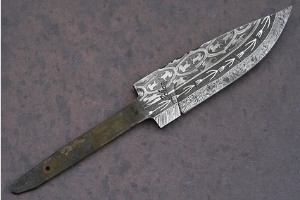 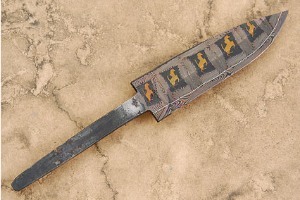 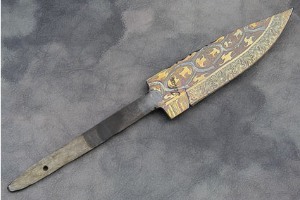 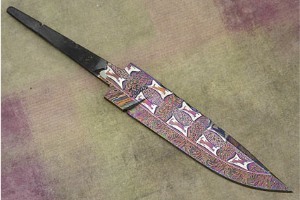 Because my big passion is forging different kinds of mosaic Damascus, it's not surprising that I make a lot of blades for other makers, all from 3-layers laminate with 1% Swedish carbon steel, to different kinds of Damascus blades. 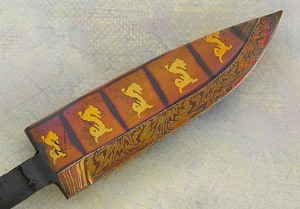 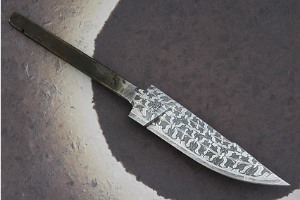 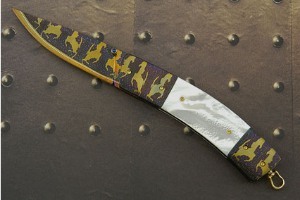 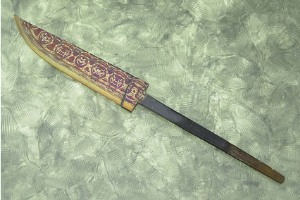 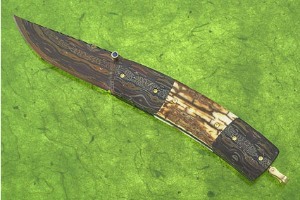 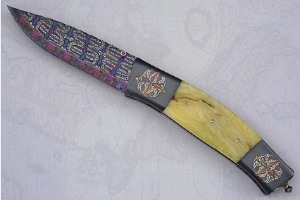 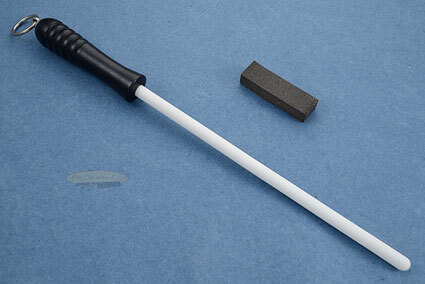 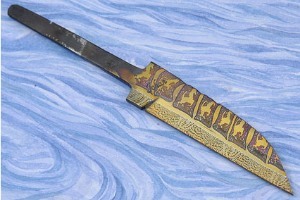 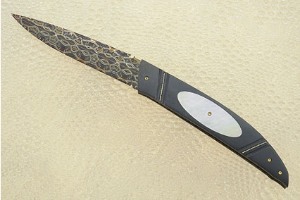 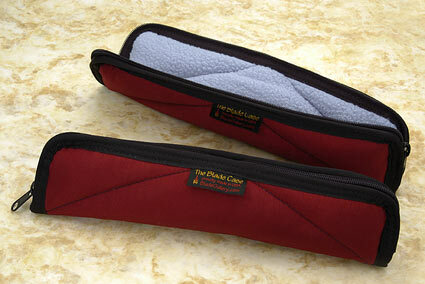 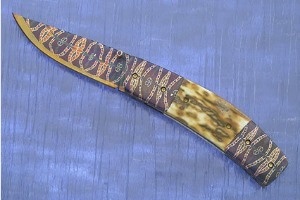 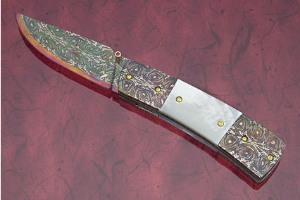 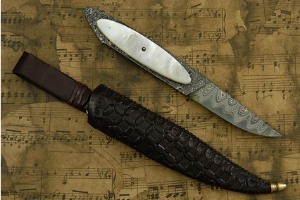 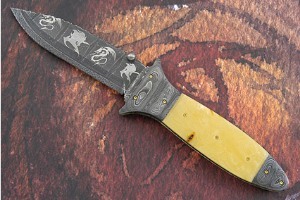 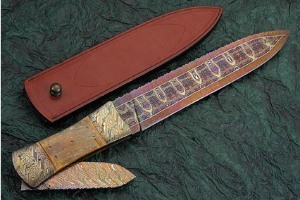 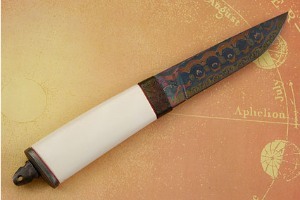 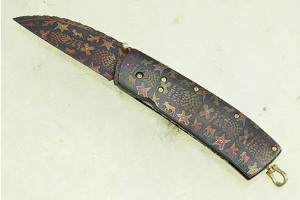 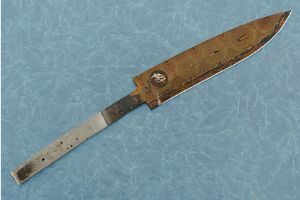 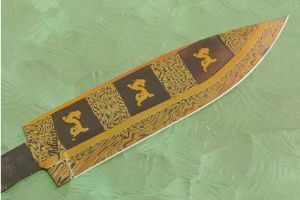 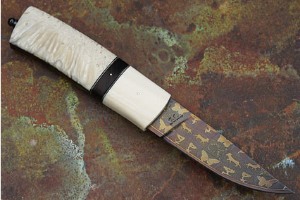 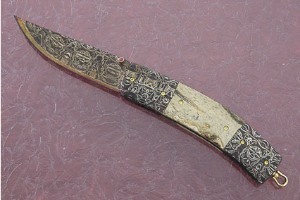 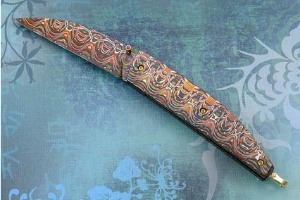 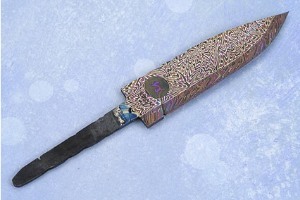 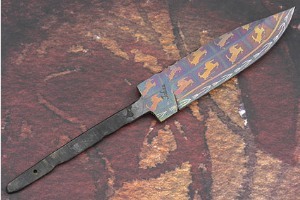 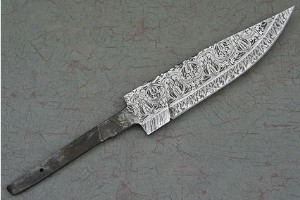 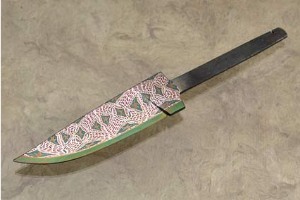 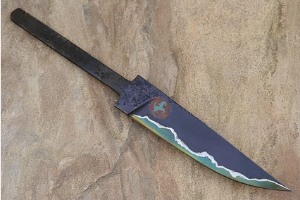 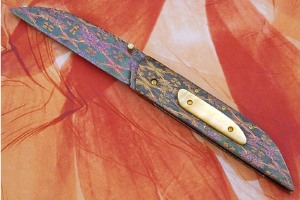 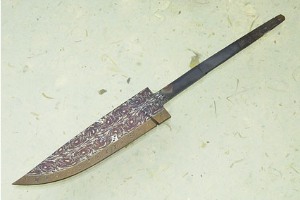 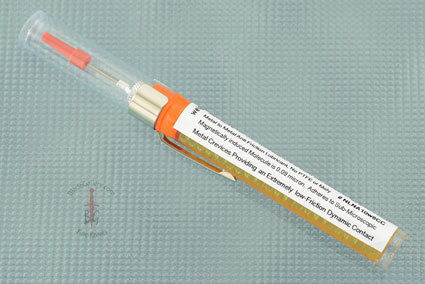 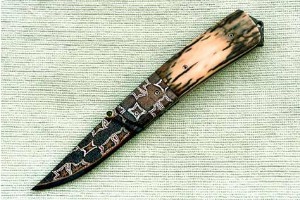 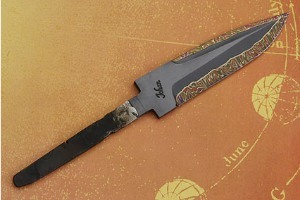 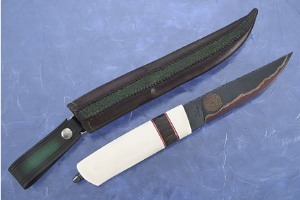 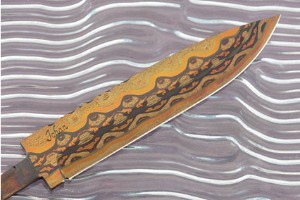 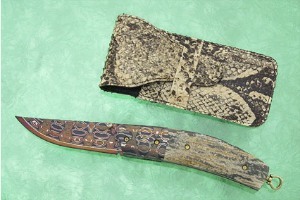 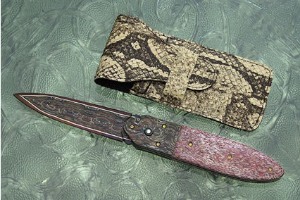 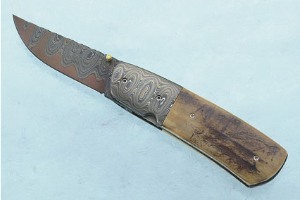 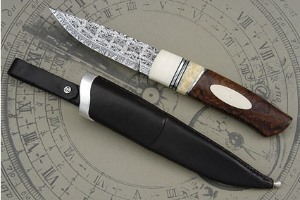 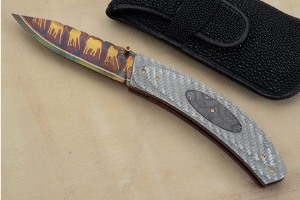 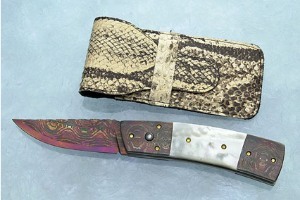 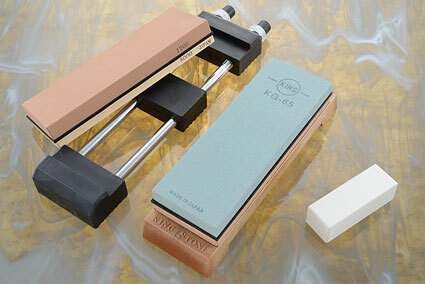 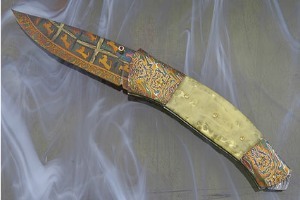 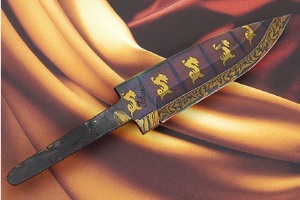 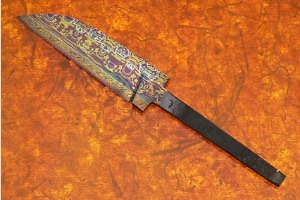 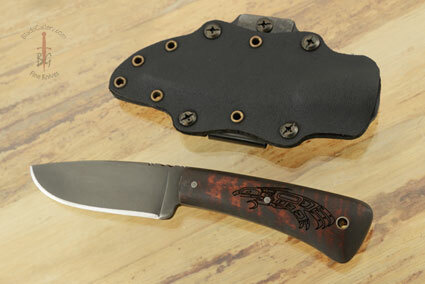 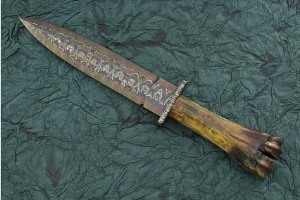 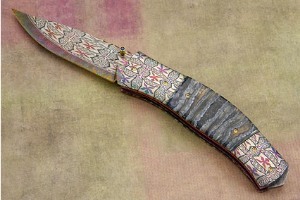 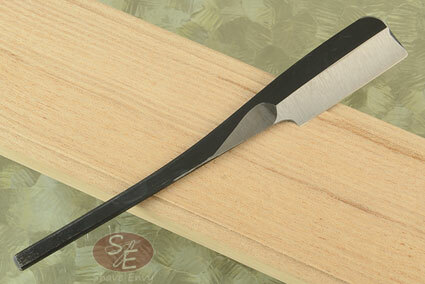 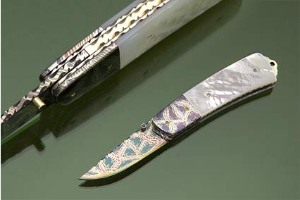 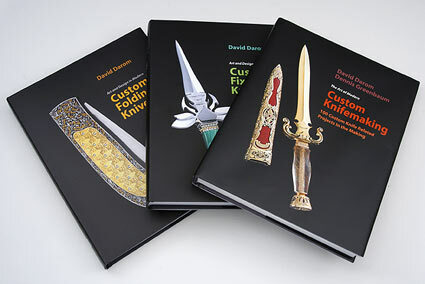 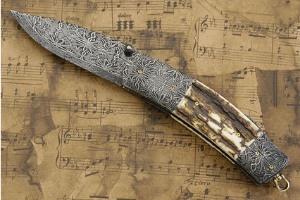 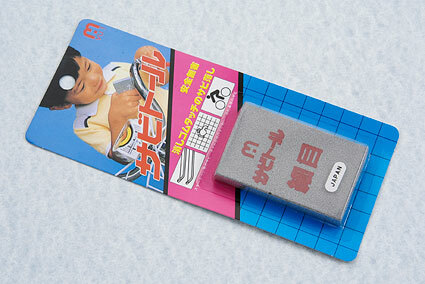 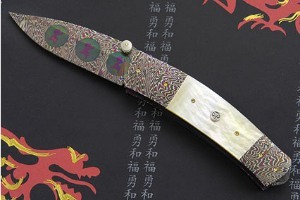 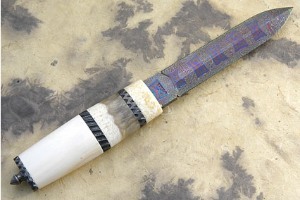 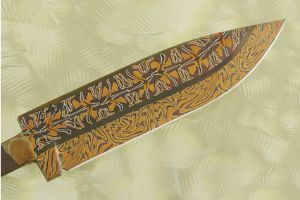 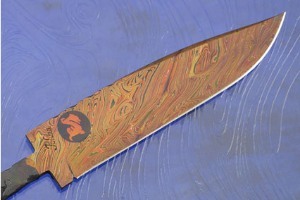 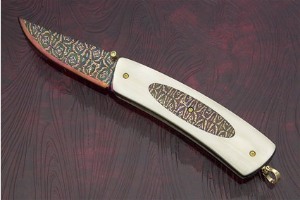 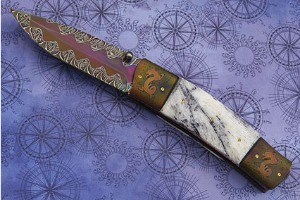 I specialize in one-of-a-kind knives. 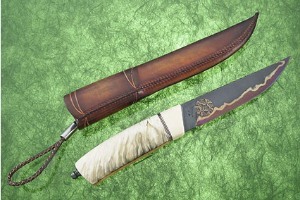 I make a lot of different kinds of knives, such as folders, daggers, traditional Nordic styles (Pukko), full tang and fantasy. 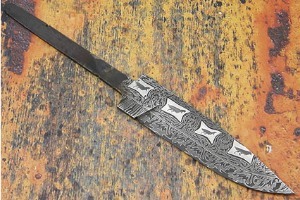 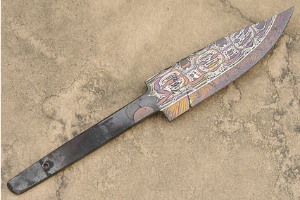 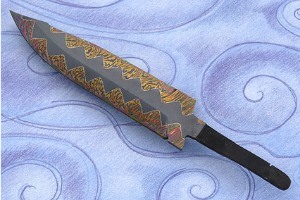 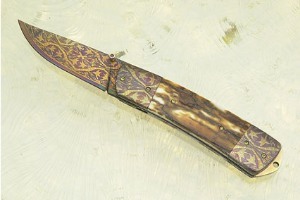 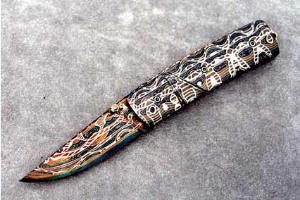 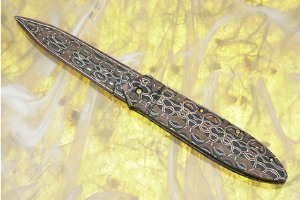 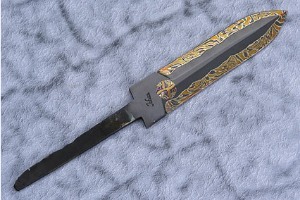 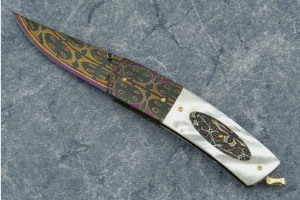 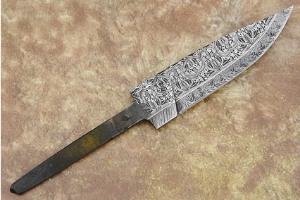 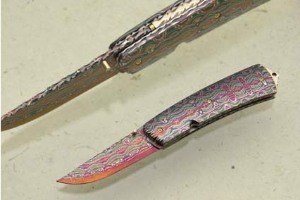 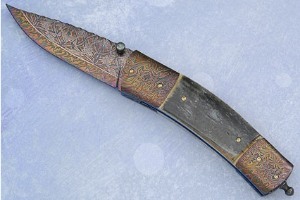 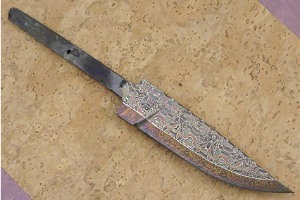 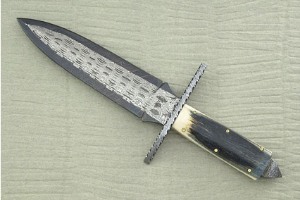 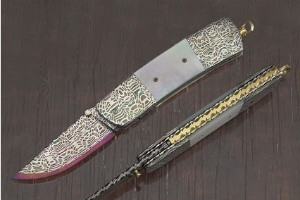 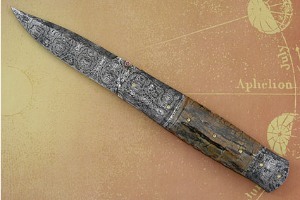 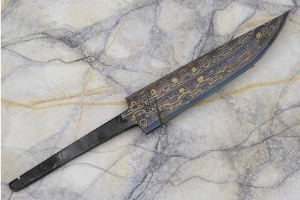 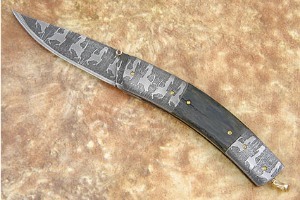 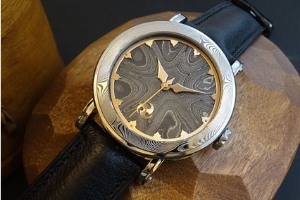 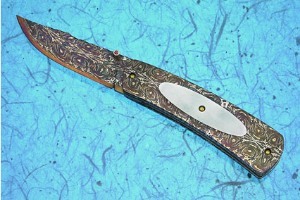 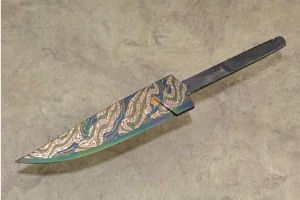 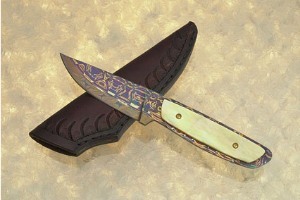 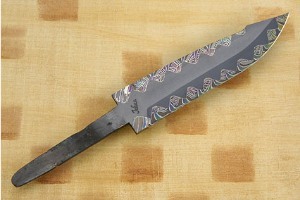 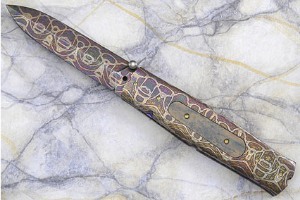 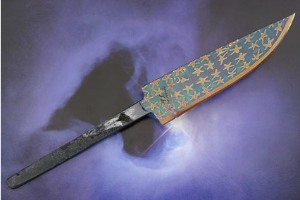 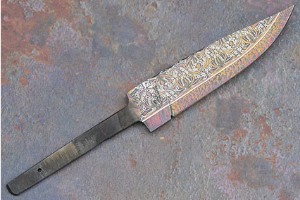 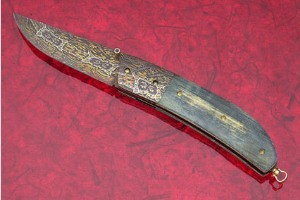 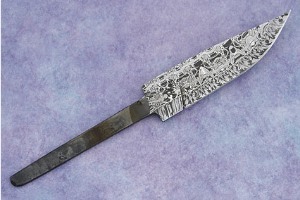 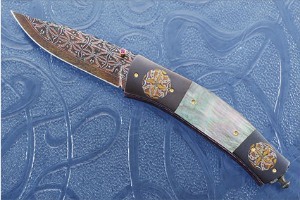 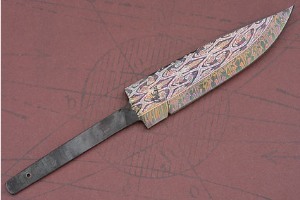 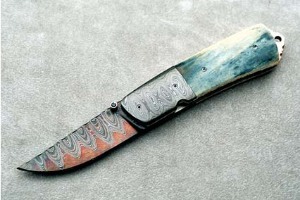 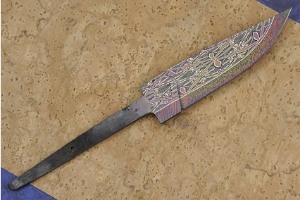 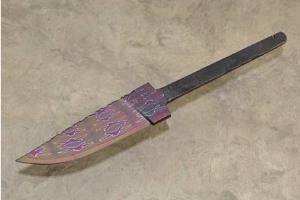 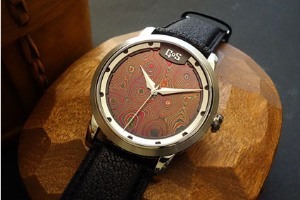 I enjoy working with high-contrast, blackened or colored Damascus. 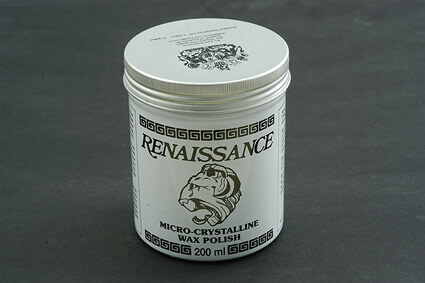 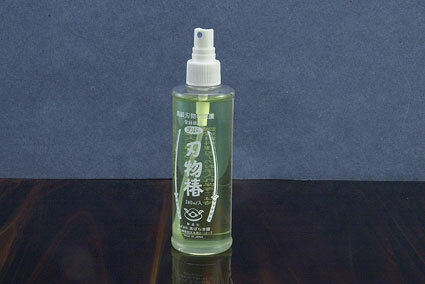 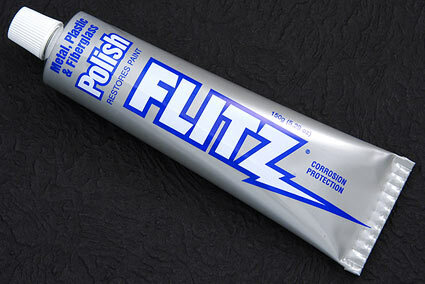 0.3125 0.171875 312.5 171.875 Products Display completed.